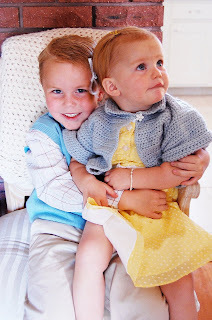 Since I haven't blogged in forever I thought that I would give an update with the Lounsbury kids. Jack learned how to ride his bike without training wheels oh about 3 months ago and loves riding his bike everywhere. He has become quite independent and has given me some scares......He loves pre-school, playing with his friends, and is learning how to read. 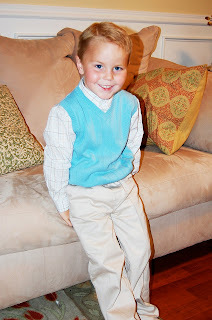 (kids are a lot smarter now days) He has had so much fun these last couple of days going to Easter egg hunts and coloring eggs. Like always, he has something funny to say or do that keeps Landon and I wondering where he got his fun sense of humor from. Kate is fifteen months old and is one busy bee. She loves climbing up whatever she can, playing with anything that is electronic, trying to talk, and LOVES going on walks in the stroller. She is so brave and hardly ever cries, well she cries when I leave her, but she is one tough little girl. She loves going down slides at the park and last week did a face plant and got a big fat lip, but that hasn't stopped her from going on them. She is ALL girl and loves her "pretty shoes," caring her purses, and giving loves to all of her babies. She is such a sweetheart. My baby turned one years old on January 3rd and I was happy and yet sad at the same time. Happy because she is one and sad because she is growing up way too fast. We had so much fun on her big day. My mom and two sisters and niece came up from California and my mom made her the most adorable dress for her to wear. 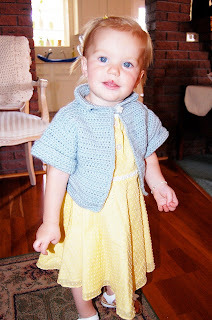 (It reminded me of all the dresses I used to wear when I was her age.) We went to Pirate Island Pizza for lunch and all of Landon's family came, my family from Cali, my cousin, Cassie, and her family and also my sister in law Cary and my nieces and nephews from St George came to support Kate on her big day. After we went to our house to have cake and ice cream and I thought Kate would go to town with her cake but she really didn't like her cake at all. I took her to the Doctors to get her one year check up and she is off the charts in height 105%, and 55% in weight. Tall and skinny! She is the most sweetest little girl and Landon, Jack, and I love her to pieces. We took the kids to go see "Santa" at Tuachan, but Santa was actually my father-in-law Kevin. We were unsure if Jack would figure it out, but he is a lot smarter than we are. Kate of coarse cried when she saw Santa but Jack went on his lap told him what he wanted and then jumped off and told Landon and I that his grandpa Kevin was dressed up as Santa. We tried to explain that it was really Santa but he would not let it go. That night he told us that he saw grandma Jody whispering in Santa's ear because it was really grandpa Kevin, and he also said that Santa was wearing the same glasses that grandpa Kevin has, and finally that Santa sounded exactly like grandpa Kevin. What do you do............Merry Christmas! I LOVE Halloween. On Thursday night, Landon and I went to Thriller and it totally pump me up for Halloween. Jack was a wolverine, Kate was a witch, and I was a 20's gal. Landon was just "Dave" (for all of you Office watchers). The day was full of Jacks preschool party, hall-o-ween at Snow Canyon HS, trunk-or-treat with our ward and my favorite, chill, cornbread, and hot apple cider at Scott and Kami's house. One Saturday we woke up nice and early to go to Jack's second wrestling tournament. He did so good! Last week he took first and Saturday he took second. You would think at his age the boys would just be rolling around, but there is a lot of technique and moves that would blow your mind. I am so proud of Jack, and his dad, well lets just say I have never seen Landon smile as big as when he is watching his son wrestle. Both tournaments I am a wreck, I am so nervous and I look at Jack and he is just having fun. I don't know how Jody has done it with four boys. Good thing I have Kate to mix it all up. Jack has concurred staples in his head and now he has had his first concussion and he's not even four. Its crazy how it happened. We were coming back from getting the mail and Jack started running to catch up with his dad, but he wasn't the only one running to catch Landon, Yeller our dog, started to run and knock Jack flat on his face. We both heard Jacks' face hit the concrete. We took him inside and Jack started asking me questions like, when are we going to get the mail, why am I crying, and what happened to my head. Right then, I knew he had a concussion. So I took him to the doctor. At first the doctor wanted him to get a cat-scan, but Jack started to progress so, we stayed in the waiting for two hours and the doctor would come out every 1/2 hour to see how he was doing. We were so happy when the doctor said, I think he should be good to go! Wow all the experiences I am experiencing being a mom to a boy! I grew up in California and then moved to Utah where I met my husband, Landon. We have been married for five years and have two adorable kids, Jack and Kate!